On Twitter, most of the people I follow have some kind of interest in or involvement with fiction writing and publishing, but I have gradually weeded out of the stream nearly all of the literary agents that I was monitoring during the early months of my Twitter era because I grew bored with the endless tips and advice on how to write queries and also the constant lists of "bad" things writers shouldn't ever NEVAR! do with their prose. The former is simply not interesting to me since I am not in the business of writing queries currently, nor do I require them as an editor. The latter is actually pretty annoying because it's obvious to anyone who reads a lot and with discernment that much of the best stuff that's been written and published contains one kind or another of never-do-it, top-ten-mistakes-of-writers rules breakage. Granted, second-person is the least common narrative mode in literature in English (though it's all-pervasive in song lyrics for some reason) and possibly the most difficult to use effectively and perhaps the easiest with which to annoy someone, but I really dig an effective use of it when a writer manages it. Last month I published a novelette by new writer Bob Labar called "Wake," which is told principally in second-person and which also employs several other unconventional methods. When I started reading it for the first time, I wondered if the point-of-view was going to be a "good" use of it or a "bad" use of it, but then when I got deeply enough into the story to understand what was going on, I decided it was maybe a borderline-brilliant choice of POV, one where the technique itself helped illuminate the main character's situation in a way that would have felt very different in third-person. 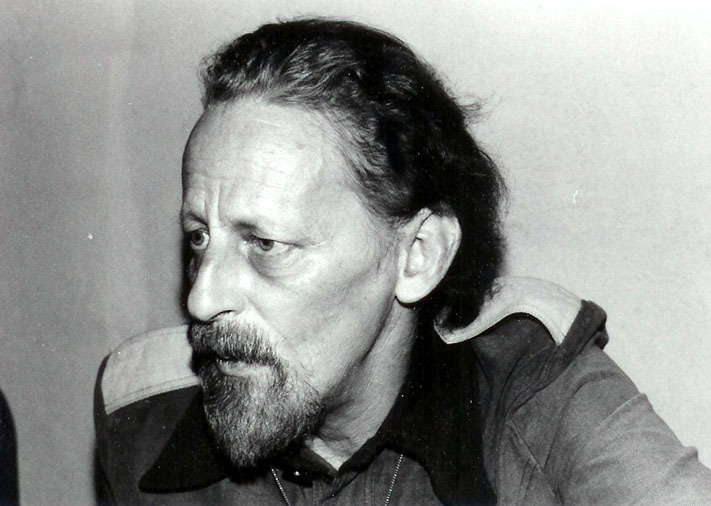 Then, just a few days ago, I read for the first time Theodore Sturgeon's fantastic short story "The Man Who Lost the Sea," also told largely in second-person. 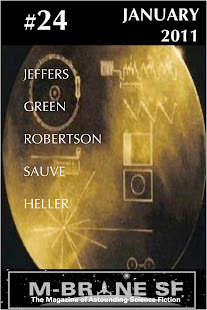 I read it in a paper book, called The Golden Helix, that's been in my collection (mostly unread) for years but fortunately it is also online, recently reprinted here by Strange Horizons (originally in F&SF). It's just spectacular all the way through and especially at the very end when one "gets" what's going on. The copy on my shelf includes a foreword by Sturgeon in which he describes that it came out of period of low productivity, then turned into a 21,000-word novella which he then chopped down to a 5000-word short which was then hailed as one of the best stories of 1959. As I read Sturgeon now, with the perspective of time and the evolution of the sf genre, it's even more obvious what a fine writer he was. He not only told compelling stories, he did it with great style and literary panache in an era where a lot of sf was still pretty crude. A lot of less-well-remembered sf writers in the 1950s could have told this same story, but not many could have told it as well. Sturgeon is one of probably too many great sf writers that I have not read enough of, and I've been trying to correct that deficit lately. As a kid, I knew his name because he wrote the teleplays for a couple of memorable episodes of the original Star Trek series, "Amok Time" (the one where Spock succumbs to the Vulcan seven-year mating cycle) and "Shore Leave" (where an idyllic planet produces physical manifestations of one's fantasies as a sort of amusement park). He wrote a third unproduced episode called "The Joy Machine" which was later adapted by James Gunn as a novel with the same title for Pocket's Star Trek line. In my childish Trek fan way, I would often sample books and stories by writers whose names I recognized from the Star Trek credits thinking that they must be great if they wrote that show. 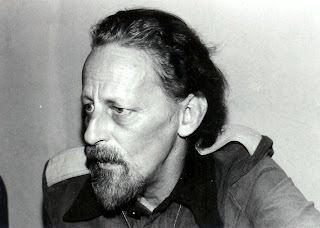 With Sturgeon, I tried and failed with Godbody, his last book, posthumously published the year of his death. At fourteen or fifteen years old, I wasn't an experienced and sophisticated enough reader to get that book. I found that I didn't like it. It bored and confused me and I gave up on it less than halfway in (and it's not very long). I did hang on to my book Science Fiction Book Club edition of it over the years, however, and went back at it as an adult and got a lot more out of it. But since that book was Sturgeon's last and had an odd feeling of being a coda to his career, I wanted to find some other stories that were more typical. What I discovered is that none of his work was "typical" but a lot of it was very daring and transgressive. The tres creepy short novel Some of Your Blood, for example, told in epistolary style like Dracula, lingers in the back of the mind long after it's been read. Sturgeon's contribution to Harlan Ellison's Dangerous Visions, "If All Men Were Brothers, Would You Let One Marry Your Sister?" probably offends more readers than it delights, but it is exemplary of Sturgeon's way of putting questions to readers and pushing them along toward interesting possible answers. Now I am working my way through the stories in a couple of neglected collections that have been sitting here waiting for me for years, and am enjoying them very much. Has anyone reading this page read Sturgeon, and if so, did you like his work? Are there other writers of that period that you like that don't seem to get enough attention anymore? Of course, Sturgeon's novels, More Than Human, and Venus Plus X are great. As for short stories, "Case and the Dreamer" is probably my favorite. As for writers from this period (and into the 60s), I like William Tenn, R A Lafferty, and Avram Davidson. Good post, by the way! I'm ambivalent about agents telling writers how to write, but I expect second-person works better in short stories than in the full-length novels agents are looking at. You make a good point, though. Disgracefully, after reading this story, my total exposure to Sturgeon is.. this story. It was awesome, though--really excellent storytelling. I can see I'll have to remedy this blindspot post haste. I suspect you're correct that the second person mode is more sustainable at shorter lengths. I can't remember a specific example, but I think Faulkner used it sometimes not for the full run of a novel but intermittently within a book. A well-known example of its use at novel-length is Jay McInerny's BRIGHT LIGHTS, BIG CITY, and I bet that has spawned plenty of imitators over the years, probably to the dismay of editors and agents. Another mode that peeves some people is the use of present tense throughout. When I was in my early 20s I read Ellis's LESS THAN ZERO which is written in present tense and mostly in fairly terse sentences, and for a while I found myself unconsciously imitating that style every time I tried to write something. It's one of those things, like second-person, that can work really well sometimes, just not ALL the time and not for every writer. Samuel Delany, in one of the essays in his ABOUT WRITING book, complains about present tense as a signpost of a newbie writer trying to be "literary" and cautions against it. I don't remember if he addressed second-person anywhere in that book, but I bet he'd probably have something similar to say about it. And, yes, I highly recommend reading more Sturgeon. I took in a couple more stories last night that I hadn't read before and really enjoyed them. Thanks, Zach, for mentioning Tenn and Davidson and Lafferty. Good picks. A couple other writers that I'd point people to who did great work in the 1950s would be Cordwainer Smith (Paul Linebarger) whose work was so strange and strangely stylish that he really stands out; and also Alfred Bester whose short fiction was generally very entertaining and whose two major novels THE DEMOLISHED MAN and THE STARS MY DESTINATION are absolutely brilliant. He's an interesting case in that he was so good but not very prolific, at least at longer lengths, as if he had just a few things to say, said them and was done. I'd never read Sturgeon until my brother in law loaned me an omnibus of his stories a few years back. Good stuff. Late, I know, but I regard Sturgeon quite highly. "Bianca's hands" is a lovely short story. In fact, I think I need to reread some Sturgeon now. I was disappointed in the ten-volume collection not because Sturgeon wasn't brilliant--he often was--but because I don't need the non-brilliant things. And of brilliance, I think he only had four or five books work--which is four or five books more than I have produced. John, I'd agree that he wasn't brilliant every single time. No one is. Indeed, since I originally posted this topic, I have read a bunch more Sturgeon stories and there are certainly a bunch of weaker entries. But what is undeniable is that he was writing at a higher level than most of his peers, particularly in the 1950s-early 60s period. What's less certain now is what he has as a lasting legacy. So many readers who love the genre and so many writers who are probably in one way or another among his descendants don't even know his work. And that's a shame because he was a serious craftsman in an age and in a genre when and where so many dudes thought all they had to do was "tell a story."